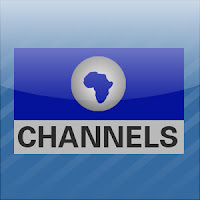 Channels Television is set recruit graduates and skilled personnel. 3. A first degree, second class upper in Mass Communication or Social Sciences or Humanities. In addition, a minimum of 8 years experience in journalism in a reputable media organisation is necessary. Perform analysis, build up system designs and tests precise along Company's business applications, set up system specifications, procedure and network requirements to meet Company requirements. Lead and synchronize teams of information systems professionals in the maturity of software and integrated information systems, process control software and additional embedded software control systems. Evaluate, troubleshoot, document, upgrade and build up maintenance procedures for operating systems, communications environments and software. Frequently work together with customer and functional colleagues in addition to management. Examine and select methods and procedures used for obtaining solutions. Research, appraise and create technical information to design. Develop and test automated systems. Develop data, procedure and network models to optimize structural design and to assess the performance and consistency of designs. Plan, design and organize the progress, installation, integration and function of computer-based systems. Following the Company's regulations for application implementation. Updates job knowledge by participating in educational opportunities; training, re-training, reading professional publications; participating in professional organizations. Advanced CISCO Certification and Training (a plus). Oversee computer networks to ensure that they function smoothly. Configure and manage new and/or existing network: LAN and WAN, wired and wireless connections. Responsible for customizing the network to company's needs: connecting the necessary hardware and software to the network, adding computer programs, such as e-mail, that the company's employees use on a daily basis. Control user access to, monitoring of and security to the network. Provide internet and emails solutions. Setting up passwords for individual users and determining which files, programs, or features each person is allowed to use. Changing passwords as required or periodically and updating security measures and procedures. Install the necessary hardware and software to set up a computer network, and customizes it to meet company needs. Establishes network by evaluating network performance issues including availability, utilization, and latency; planning and executing the selection, installation, configuration, and testing of equipment; defining network policies and procedures; establishing connections and firewalls. Maintaining and managing the Company's servers to optimal functionality (exchange server, streaming servers). Updates job knowledge by participating in educational opportunities; training, re-training, reading professional publications; maintaining personal networks; participating in professional organizations. Supporting, designing, maintaining, and evaluating computer networking along with telecommunication systems. Install, configure, and maintain physical servers and virtual computer servers. Oversee the daily operations of computer networks. This would include the hardware/software support, special projects, and training where necessary. Network mapping, start-up, installation, maintenance, and improvement. Responsible for ensuring that the LAN/WAN network connectivity of the company is adequate. Ensure the security and deployment of the LAN/WAN network is also in good standing. Hardware and the software are working to produce the highest level of local and Internet networking conditions. Any additional duties as assigned or required by the Company. Minimum of 4-6 years core IT experience. 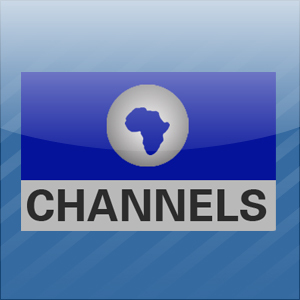 Channels TV currently seek a Master Control Operator for its Headquarters in Lagos. Below please find a brief description of the essential duties and responsibilities required to function successfully in this position. The Master Control Operator will be responsible for performing all on-air operations to include recording, downloading, uploading and editing of all on-air programming and commercial material in a live news programme. Operate all control room equipment associated with a typical live news programme and sports master control room. Monitor and maintain the quality, continuity and availability of multiple networks and distribution channels in a live and nonlife environment. Work with broadcast systems incorporating logs/playlists to manage content playout. Ensure continuity of on-air schedules in a dynamic environment. Prepare and maintain sports, news programmes and associated databases for air. Capture and encoding of content related to on-air schedules. Manages deployment and retrieval of playlists and as-run files, and monitors commercial insertion system. Integrates live and previously recorded program content with commercials and promotional spots. Maintains program and break continuity. Operate on-air branding and news. Proficient with computers and MS office software. Ability to work any scheduled time, including nights, weekends and holidays to support the 24×7 on-air broadcasts. College diploma or university degree in an associated field or equivalent work experience. Experience in broadcast television, cable programmer or network desirable. Will be a team leader within the web unit. Will have knowledge and experience of carrying out all the duties of the Web Programmer as listed below. He/She will have knowledge of more than one programming language and able to work on design, development, deployment and end-to-end implementation He/She must be a team player that is able to convert ideas into technical specifications which can and will inform development for add-ons or enhancements. The web editor/blogger will have strong experience in writing feature stories and converting interviews in question and answer format into feature stories. He/She will be able to carry out editing of stories and have eyes for details to the extent of being able to identify errors, typos, and other finite mistakes as well as have the ability to make changes required. He/She must have a strong eye/nose for identifying news story and have a keen interest in pursuing and developing such stories for the website and in some cases for television.